Those who were behind the scene leading to the bloodless revolution of 8 January have started to speak out one by one. First, it was Asoka Abeygunawardana, electrical engineer and social activist, who spoke out first by publishing a book in Sinhala titled ‘Yuga Peraliya’ which was later translated into English as ‘The Revolution of the Era’. A review of the book is available at http://arjunareflections.blogspot.com/2015/03/review-of-revolution-of-era-by-asoka.html). Then, it was up to Dinesh Weerakkody, banker, human resource expert and entrepreneur, to narrate the story from his side under the title ‘The Great November Revolution’ (See the review at: http://www.ft.lk/article/504649/The-Great-November-Revolution--The-inside-story-according-to-Dinesh-Weerakkody). 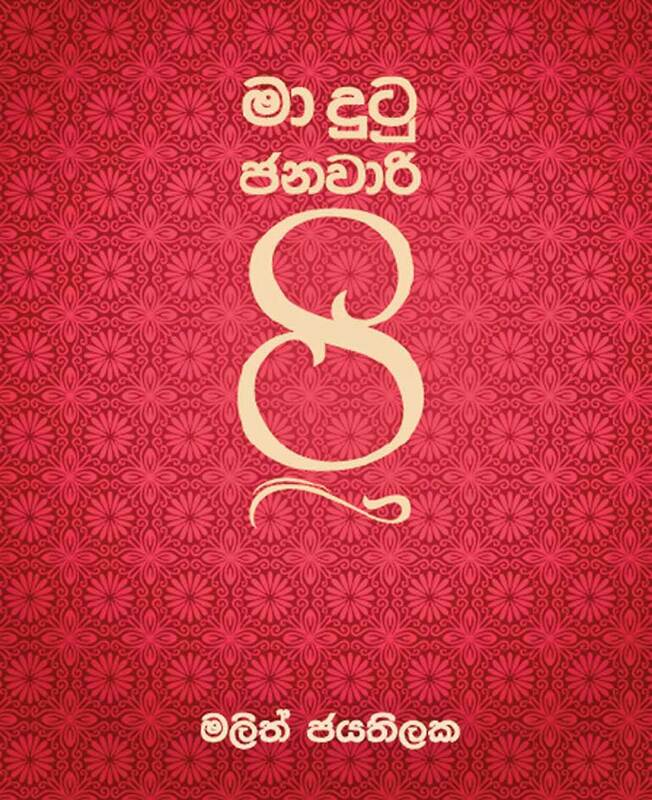 Now, Parliamentarian Malith Jayathilake has fulfilled his obligation by telling us the story as he has seen it in a book in Sinhala titled ‘Ma Dutu Janawaari Ata’ or ‘The January 8th Revolution as I Have Seen It’. In fact, the presidential elections on 8 January 2015 marked an important turning point in Sri Lanka’s recent political history. Sri Lankans demonstrated to the rest of the world at that election that they could change an authoritarian government in every respect by using a simple weapon called the ballot. This writer eulogised it in a previous article as the display of ‘True Wonder of Asia’, borrowing a tagline used by the Mahinda Rajapaksa regime that was ousted at the election to market its own policies to Sri Lankans as well as to outsiders (available at: http://www.ft.lk/article/381267/The-triumph-of-good-governance--Sri-Lanka-has-shown-that-it-is-a-true--Wonder-of-Asia-). The Mahinda Rajapaksa regime was so confident of a victory at the election that it went for an early election in order to consolidate its power base. The confidence of the top bureaucrats supporting the regime was equally strong. On 2 January 2015, just six days before the election, the powerful Treasury Secretary Dr. P.B. Jayasundera boldly announced that even in 2020, it would President Mahinda Rajapaksa who would be the President of the country. The occasion was the releasing of the Central Bank’s policy road map for 2015 before a packed but captive audience of bankers, politicians, bureaucrats and diplomats at the Bandaranaike Memorial International Conference Hall or BMICH in Colombo. The participants at the meeting had felt that the Central Bank had changed its usual venue from the bank premises to the BMICH, invited a bigger audience and allowed the Treasury Secretary to deliver a political speech in order to boost the President Mahinda Rajapaksa’s election campaign. It also showed the confidence of the top management of the Central Bank, including its Monetary Board, that the retention of Presidency by Mahinda Rajapaksa for a third term was a sure thing. It was a loosely-connected and hurriedly put in place organisation called the Joint Opposition, made up of political parties, civil society organisations and a few individuals that challenged President Mahinda Rajapaksa at the elections. To the outside world, it is this Joint Opposition that fielded the common candidate, fought at the election vigorously and fearlessly and finally foiled the royal ambitions of Mahinda Rajapaksa and his close family members. But the real story is different, as narrated by the three small fellows who played their role behind scene to oust Mahinda Rajapaksa and bring about a turning point in the political history of the country. It was an instance, as Arjuna Seneviratne – one of the political critics – had noted, Davids slewing the Goliath in an unusual lopsided battle. That battle plan involved a strategy and that strategy outsmarted that of Mahinda Rajapaksa, a seasoned politician for whom winning elections was not a game at all. Malith Jayathilake’s book running into 673 pages has been broken into five main chapters. In the first chapter, he describes how he took part, again behind the scene, in the infamous Presidential Election of 2010. It was he who had suggested even the theme of the election campaign, For a Brighter Future, that captivated the voters at that time. Since he was behind the scene and not in the front, President Rajapaksa never knew that it was his creation. Chapter Two has been devoted to the statistical forecast which he had made, along with four others, that in the next Presidential election, President Rajapaksa had very grim chance of winning. Based on the forecast explained in Chapter Two, Chapter Three describes how they started searching for a common candidate to field against President Rajapaksa and how they zeroed on Maithripala Sirisena, then a Cabinet Minister and Secretary General of the main ruling party, Sri Lanka Freedom Party or SLFP. Chapter Four has been devoted to the election campaign and Chapter Five to critically examine the post 8 January developments. There are many known and unknown political characters mentioned in Jayathilake’s book. However, he has taken care not to project anyone of them as villains. All he has done is to give facts so that the readers could make their own judgments about villains. Though he has not ascribed to himself a heroic disposition – he has confessed many a stupid things he had done in the process – there are many heroes in the whole episode. Among them, there had been two leading figures that have been rated by him as special heroes. One was President Maithripala Sirisena who came forward to challenge Mahinda Rajapaksa as the common candidate sacrificing everything he had been enjoying and risking his life as well as those of his close family members. The other was Prime Minister Ranil Wickremasinghe who kept one step backward by agreeing to Maithripala Sirisena’s common candidacy and led his party and the election campaign to a success. This does not mean that the role played by others should be downplayed. It was teamwork and in the team, everybody had made their best contribution to the success of the campaign. It was amazing that the Joint Opposition had mobilised individuals of different political leanings and ideologies for a common cause. It seemed that everyone had temporarily kept aside their political and ideological differences for attaining a common public good, namely, putting a stop to the emerging disastrous political and economic culture in the country. Malith Jayathilake had been an ardent supporter of Mahinda Rajapaksa in his Presidential campaign in 2010. He even held a public office under the regime as Head of a public authority. But what made him change his mind? It was not Malith Jayathilake who had rejected Mahinda Rajapaksa. It was Mahinda Rajapaksa and his close family members who had rejected him. Had they listened to him when he presented his forecast that President Mahinda Rajapaksa could not win the next Presidential election and changed their ways, he would still have been in that camp. If that had happened, Sri Lankans would not have a chance to announce to the rest of the world that they could change an authoritative regime through popular ballot. What was this forecast that served as the trigger-point of changing the country’s political culture? It was a scientific study done by Malith Jayathilake and four others by closely examining the voting pattern of Sri Lankans since the Presidential election in 2010. That election had given a landslide victory to Mahinda Rajapaksa and boosted his ego that he was invincible. His reading of the mood of the electorate was that whatever he did, the electorate would blindly go with him. Thus, he and his brothers had an election strategy that Mahinda Rajapaksa can win the next Presidential election simply by pampering to the Sinhala-Buddhist extreme elements. Therefore, he did not care to win back the minority votes to his camp. Rather, his action alienated minority ethnic and religious groups from his camp. This was the strategy that had been challenged by Malith Jayathilake and four others by a carefully done scientific study of the changing mood of the electoral pattern in the country. The message which Malith Jayathilake’s forecast conveyed was simple enough. In a Presidential election, the winning candidate should get half the valid votes plus one to win the election. When the votes of the minority groups were not cast for Mahinda Rajapaksa, he should have got at least 70% of the valid votes from Southern districts to satisfy that requirement. But the results of the Provincial Council and local government elections that were held after 2010 showed that this was not a possibility. The calculations done by Malith Jayathilake and others showed that that would be less than 60%. In that scenario, a challenger who could marshal the support of the minority groups could easily beat President Mahinda Rajapaksa if he could get 40% of the votes from the Southern districts. When this presentation was made before the political leaders of the ruling UPFA, they saw the red light that had been lit before Mahinda Rajapaksa. However, he and his brothers were not ready or willing to accept it. They had been living in an imagined euphoria of their own. Mahinda Rajapaksa who had been elevated to kingship was invincible. He had the political, financial and military powers. With those powers, it was not possible for anyone to challenge him politically. Hence, in the view of President Mahinda Rajapaksa, it was a crime which Malith Jayathilake had committed by saying that the invincible President could not win the forthcoming election. Accordingly, Malith Jayathilake was not only rejected by the Rajapaksa regime; he was chased away from the position he had been holding in a public authority. Thus, it was President Mahinda Rajapaksa himself who had delivered him to the common opposition. When the presentation was made before civil society and opposition political leaders, they not only grabbed the idea but also strategised how they could put it into action. That was how the idea of fielding a common candidate against President Mahinda Rajapaksa was born and carried toward a successful fruition. There were hiccups throughout but the Joint Opposition managed to resolve them successfully. Malith Jayathilake has explained in detail how an elimination process was used to zero on Maithripala Sirisena, then a Cabinet Minister and General Secretary of SLFP. According to Malith Jayathilake, it was President Mahinda Rajapaksa himself who had delivered Maithripala Sirisena to the Joint Opposition camp. 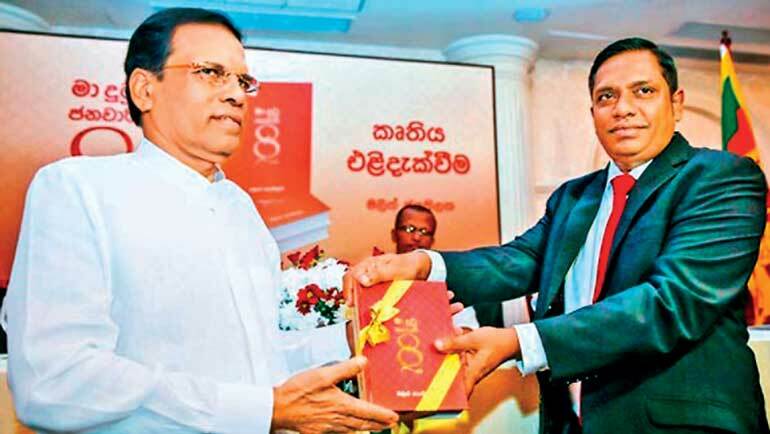 Three incidents explained by Malith Jayathilake in his book testify to the fact how President Mahinda Rajapaksa, intoxicated by power, had alienated himself from the party veterans. In one incident, Maithripala Sirisena had been summoned to Temple Trees after a meeting had been held in the Central Bank premises to review the progress of the Economic Affairs Development Ministry. In that meeting chaired by Minister Basil Rajapaksa, some Cabinet Ministers had raised the issue of corruption when awarding contracts for road construction. President Mahinda Rajapaksa had accused Maithripala Sirisena for raising those issues at a meeting when he was a Senior Cabinet Minister and Party Secretary. This had happened in the presence of the all-powerful Treasury Secretary at that time, Dr. P.B. Jayasundera. In his fury, President had asked Sirisena whether he was thinking of going along a different path. This unfounded accusation without a chance to explain himself had hurt Maithripala Sirisena to the core. At the book launch, President Maithripala Sirisena confessed that the decision to decamp the Rajapaksa boat was taken by him on that fateful day. The second incident described by Malith Jayathilake relates to a meeting which President Rajapaksa had with Minister Champika Ranawaka. At that meeting, Ranawaka had been accused by Rajapaksa for working against him. Ranawaka had tried to explain that his objective was to put the Government in the correct course so that it could deliver its promises to the electorate. But without listening, Rajapaksa had stood from his chair, raised the seam of the sarong he had been wearing to thigh level and challenged Champika to defeat him at the election. Champika had also been infuriated by Rajapaksa outburst and had counter challenged him. That was the beginning of the Champika Ranawaka’s departure from the UPFA Government. The third incident relates to Minister Rajitha Senaratne when he was blasted by President Rajapaksa for publicly criticising and making representations to Chief Prelates of Malwatta and Asgiriya against the destructive path to which Bodu Bala Sena, an ultra Buddhist organisation sponsored by Rajapaksas, had been driving the country. Rajitha Senaratne’s conscience did not allow him to remain in the Rajapaksa Government after that. There are many such stories narrated by Malith Jayathilake where Rajapaksa himself had been responsible for delivering important figures in his Government to the Joint Opposition. The end result was the defeat of the Invincible King at the Presidential election that was held on 8 January 2015. The real fear that had engulfed the country at the time could be gauged by the behaviour of the leading Opposition figures on the Election Day night. According to Malith Jayathilake, the common candidate, Maithripala Sirisena, fearing for his life, had hidden in a coconut estate in Kurunegala on the Election Day night. Malith Jayathilake and his friends who had helped him to put the forecast into shape had hidden themselves in a small Colombo Hotel in fear of the reprisals that could be meted out to them had Mahinda Rajapaksa returned to power for a third time. With the defeat of Mahinda Rajapaksa at the election, this fear has now been taken out of the heads of the people by the new Government led by President Maithripala Sirisena and Prime Minister Ranil Wickremasinghe. That was the true change that has taken place in the country after that fateful 8 January. Malith Jayathilake’s book is long but could be read in one stretch because of its reader-friendly language. It is hoped that the book will be translated into English soon for the benefit English reading readers throughout the globe.